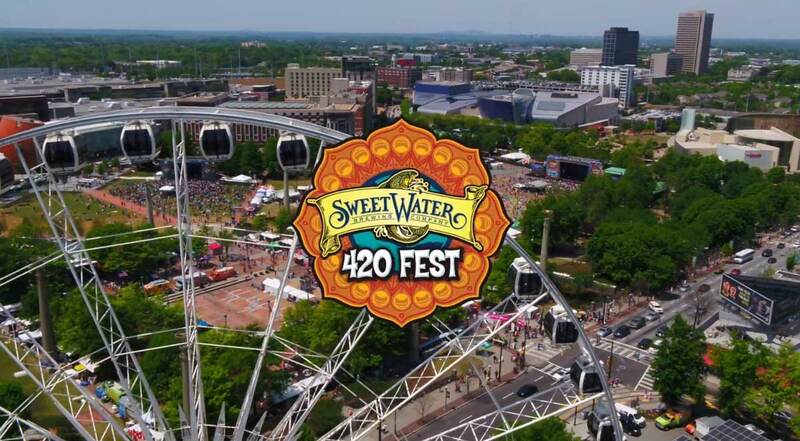 Well, as Atlanta natives, we could not be happier about the 2019 Sweetwater 420 Fest lineup announcement! SweetWater 420 Fest will return to Atlanta’s Centennial Olympic Park April 19 – 21, 2019. SweetWater Brewing Company and Happy Ending Productions, organizers of the three-day music festival, have done it once again and brought us an amazing lineup of incredible bands. We cannot wait to see Widespread Panic play four sets over two nights at April’s event. 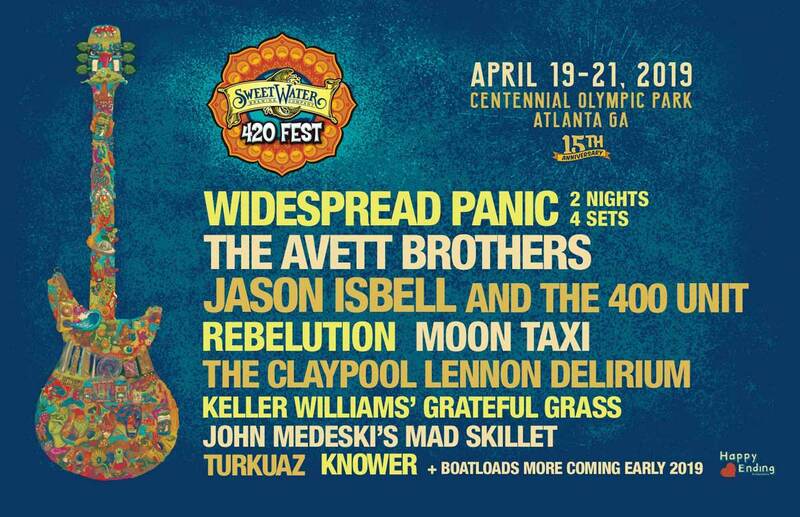 The Avett Brothers, Jason Isbell & The 400 Unit, Rebelution, Moon Taxi, The Claypool Lennon Delirium, Keller Williams’ Grateful Grass, John Medeski’s Mad Skillet, Turkuaz and KNOWER are also performing at the 2019 SweetWater 420 Fest. There will be additional lineup announcements coming early 2019 so stay tuned for more goodness. There is more to the Sweetwater 420 fest than the amazing music, they also host a 5k run. You can even grab a beer immediately after the race (drink ticket redeemable for beer–21+ only–or soft drinks/bottled water)… So jump on it ‘cause the number of entries for this year’s race is limited and may sell out quickly. You even get a discount code for $5 off your festival wristband with your 5K registration. To learn more about the full Sweetwater 420 Fest experience visit their official website.